C CUBE TECHNOLOGIES is amongst South India's Leading CAD Training Institute. Established in 2001. Over a decade, C CUBE has grown exponentially and a successor in the Industry.An ample of Technical skill Training in CAD/CAM/CAE is provided in C CUBE TECHNOLOGIES has been taught to the students, interpersonal skills through latest technologies available in the Companies. C CUBE permeated in all major cities of South India, providing a network of advanced skill set to students with New and Latest ideas in the Engineering field. We are one of the best Authorized Training Institution provides for Autodesk, PTC, Bentley, Trimble. 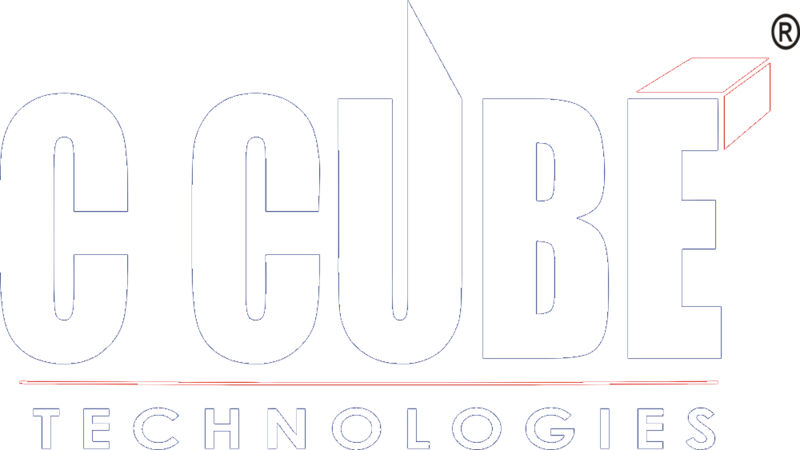 C CUBE offers a wide range of Technical software solution, and started Engineering specific course through open curriculum programs and reputed certification. CAD/CAM/CAE Training is coupled with hands-on-lab session in which students will undergo simulation of lively circumstances that may arise a day-to-day basis in an organization. C CUBE impart high quality Software Training to students, guiding them to the appropriate Education at our Institution. It is no longer important what your degree / qualification is but, from where you earned it. C Cube provides Software Training and shifts from conventional training to an in depth knowledge by theoretical, practical and internship programs in the Industries. C CUBE started with the prime objective of imparting Quality Education and Software Development. With over a decade of experience in the field, C CUBE has become synonymous with Projects and CAD/IT Education. It has no surprise that over 10,000 Engineers are trained from educational institutes, public sectors, R&D institutes & corporate houses. C CUBE is now identified as a complete IT/CAD company, with our IT/CAD engineers certified by Autodesk Inc., Microsoft Corporation, Oracle, etc. to deliver international Quality IT/CAD Education. Our courses are industry specific which fills the gap between the industries and the unemployed/employed professionals and budding Engineers. Our CAD/IT courses impart training on the start to end of skill set. C CUBE has entered into Memorandum of Understanding (MoU) with many renowned Engineering Institutes for conducting Certificate Training Programs in CAD/CAM/CAE.While the formal engineering programs equip students with knowledge of engineering, they also need to have mastery over relevant CAD software tools to become more employable. Here is an opportunity for institutions to ensure that all their engineering students are well versed in CAD tools.Authorised Educational Partner Certification from Autodesk, PTC, Innovent Ansys, Bentley Institute , Trimble, Tally Institute of learning and Tukatech Software, will create more value in skill development of students which in turn help them in their placements. Visiting lectures / Seminars from Industrial Faculty. Copyright 2018@ccube technologies. All Rights Reserved.